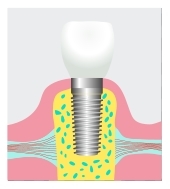 Dental implants are artificial roots that can help replace a missing tooth or teeth. You teeth are a vital part of every moment of your life. You are able to chew and bite because of your teeth. They make it possible to speak properly. They even give shape to your face. A healthy and beautiful smile is an asset you can’t afford to lose. If you’re missing a tooth or teeth, you must replace it as soon as possible to prevent bone loss, shifting teeth, and other complications. In the past, your options were limited to messy, uncomfortable dentures or dental bridges that require the destruction of healthy tooth material to place. Why subject yourself to these outdated methods when there is a better alternative? Implants can also be used to hold dentures in place. With only a few posts, a full set of dentures can be held securely in place without the need for adhesives. Implants help make dentures more secure, making it easier to chew, speak, and smile with confidence. Dental implants from our Houston practice look, function, and feel like natural teeth. And, like natural teeth, caring for your implants is as easy as keeping up with good oral hygiene, including brushing, flossing, and regular dental exams and cleanings. Your mouth will look and feel good as new with implants that will last for the rest of your life. 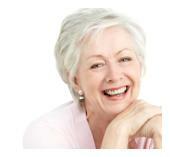 Let Briter Dental put a full smile back on your face with dental implants. Call us today to make an appointment for your consultation.